Lately, I’ve slowly been losing weight a little more steadily and sustainably. I’ve been motivated by a number of things in my desire to be more sanctified both in body and soul, with which I’d like to encourage you for your own holistic growth in grace and holiness. True holiness includes control over our physical bodies and appetites. Michel Quoist, in his book The Christian Response, says, ‘If your body makes all the decisions and gives all the orders, and if you obey, the physical can effectively destroy every other dimension of your personality. Your emotional life will be blunted and your spiritual life will be stifled and ultimately will become anemic. As we become soft and lazy in our bodies, we tend to become soft and lazy spiritually … There is no place for laziness and indulgence of the body in a disciplined pursuit of holiness. In terms of applying the moderate use of good things as a spiritual discipline, may we all apply Mr. Cookie Monster’s mantra: “Me want it (but me wait)!” Warning: you will likely struggle to get Cookie Monster’s song out of your head for a while, but that is the idea, isn’t it? Mnemonic devices for learning and training in self-control is not just for kids! And all the covenant children said, Amen! Last week, Christ reminded us in Exodus 22:31 to be holy unto the LORD, and our motivation is that Jesus has presented us as holiness unto the LORD in Himself as the true High Priest typified in Exodus 28:36 and 39:30. Here are some helpful ways to, by God’s grace, grow in holiness by being conformed more to the image of Jesus Christ (Rom. 8:29) through the Holy Spirit within you. I was blessed to observe so many of you pick up on the suggestion to get a copy of Jeremiah Borroughs’ The Rare Jewel of Christian Contentment (available here for free online or here for purchase) after the recent evening sermon, Discontent Will Destroy You. It is a great encouragement to see such a spontaneous spiritual response like that in God’s people to the preaching. I want to encourage you to begin reading it if you haven’t yet, and to take advantage of our library, from which I have borrowed my copy. I have been rejoicing in the gems found in this jewel of a book (which I have not yet finished), and that it was, as I suspected, to be found waiting in our fabulous library! Mr. Delgado recently expressed excitement over an amazing four-volume book about the Scottish Covenanters that will keep him busy for a while, which he found in our library after getting interested from his presentation to us last Sabbath Class on Oliver Cromwell, for which he also used many great books lingering in our library! Thank you Mrs. Bivens (and Miss Rachel Van Leuven and Miss Olivia Van Leuven) for your work keeping our library in order! Preparing for other sermons coming up, I have briefly switched to another gem I found in our library (the spill over in my office), God’s Way of Holiness, by Horatius Bonar. I have been incredibly blessed by the nuggets I’m already gleaning (some I’ll likely share with you soon), including some translations of shimmering illustrations and insights from letters by Luther and Melancthon. As well, I recently found in the mountainous used bookstore of San Diego’s new Downtown Library (you HAVE to go there! ), Jerry Bridges’ The Pursuit of Holiness that I can’t wait to open up (50 cents! : the Dutchman in me within the context of the Scottish heritage of our Standards has me very excited about that!). What are you reading right now besides your Bible, beloved? What are you waiting for? Something hidden but glorious is waiting for you to find it and be deeply blessed. Study to show thyself approved (2 Timothy 2:15) and to be nourished up in the words of faith and of good doctrine (1 Timothy 4:6) by becoming rich in wisdom as you dig for it with proper tools. May the personal libraries of your homes and of your minds be full of well-worn good books. Be avid Christian readers, For In the house of the righteous is much treasure … (Proverb 15:6). * I must make this disclaimer that I cannot fully condone or commend Mr. Keillor’s books. He is the kind of writer, like Mark Twain, that I like to study to try and learn by osmosis some of his way with keen observation, insights, and words. But sadly, too often, unnecessary crassness creeps in and stains his otherwise very enjoyable pages. Folks often accuse Christians of being judgmental or insensitive for pointing out sin. But all we are doing is shedding the Light of the World upon their world, and repentance for sin and a call to change by and in Christ is a major part of the Gospel (remember, the Lord Jesus, John the Baptist, and the Apostles begin their preaching with, “Repent”; and Christ’s main message in the Revelation to the Churches in Asia is repentance). The other response to the Gospel, however, is that of the Christian: But he that doeth truth cometh to the light, that his deeds may be made manifest, that they are wrought in God. (John 3:21). To have God’s deeds wrought in us is to see our own filthy works for what they are and desire to have them exchanged with Christ’s holy work. Christians do not run away from being exposed. Rather, they have Christ’s light showered upon them so that they can be truly cleansed. And then not be ashamed to have light expose their new godly works. In tomorrow evening’s text (Acts 24:24-25), it is interesting to consider the response of Felix to Paul’s message of “righteousness, temperance, and judgment to come”. He trembles, but then he defers and walks away. He doesn’t want to change. He is a cockroach. His response is not faith and repentance after trembling like Paul (Acts 9:6) and later his Jailer (Acts 16:29). 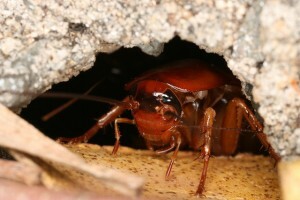 Speaking of Cockroaches and Christians, it is interesting to note one web answer to why cockroaches run when a light is turned on: It’s not so much that they are afraid of the light, but rather that they essentially have internal programming called negative phototaxis that causes them to prefer dark environments. PS: You might also consider reviewing how one is to listen to a sermon, as explained in Westminster Larger Catechism 160: Q. What is required of those that hear the word preached? A. It is required of those that hear the word preached, that they attend upon it with diligence, preparation, and prayer; examine what they hear by the scriptures; receive the truth with faith, love, meekness, and readiness of mind, as the word of God; meditate, and confer of it; hide it in their hearts, and bring forth the fruit of it in their lives. Today, I was a little disappointed. I took a break from sermon preparation to inspect the several fruit trees in the manse’s backyard. I have been nursing several of them to health for the three years that we’ve been here, and keenly interested in their improvement and production. Many of you often hear about how the trees are bearing better leaves, blossoms, and fruit. So many of you know that I have been eagerly awaiting the harvest of our peach tree. We nearly cut it down last year because it was such a drag: nearly no leaves, never any fruit, and lots of ugly fungus. Due to time, we didn’t get around to uprooting it, so we applied more fungus killer and cut some more branches down to give it another try this year. The result: more leaves with no fungal infections, the bark was much more healthy, and it was the first time we had gorgeous pink blossoms in the spring! And then, came peach buds! Well, many of you know we’ve been down to one peach for a while as things matured. I think the tree needs more time getting healthy, and more water. But that one peach has been my pride and joy. It’s my other “baby” I show off to everyone who visits (thanks to those of you who humor me with good humor). The peach has looked so great! It was going to make it! Today, that peach was suspiciously loose. As I gingerly moved it, it nearly fell off due to the hole on the top just under its stem, where some ants were crawling around. The inside of the pit had been cracked open a bit. So I nearly chucked it. But as some of you know, we have been planning to have a peach party of sorts for a while now. And so, thinking of our Bible verse for tomorrow evening’s sermon, I cleaned it up and sliced it open. It was fine! So as we planned, the family sat around the table as I sliced it into thin sections, we thanked God for our one peach, and we truly enjoyed it together!. The fuzzy feel, fruity aroma, and juicy, tasty fiber was all worth the wait. We didn’t just enjoy the peach, we enjoyed each other and we enjoyed God and we enjoyed life. (See pictures below if you’re interested to see our lone peach and our first of what we hope to be annual peach parties!). And guess what we immediately found ourselves talking about as we wiped our faces and fingers of peach juice? How we are going to get right back to taking care of that peach tree so it produces even more next time! Its younger neighbor, our orange tree, nearly didn’t make it after all. No oranges two years ago. Some blossoms and developing buds that all fell off early on last year. But this year, we’ve got 10-12 oranges maturing — Lord willing, they will certainly make it. So this one peach has us now eager to bring more life into that peach tree and see if we can’t produce a similar crop to the orange tree next year. If so, you may be enjoying a peach pie in the fellowship hour next August! Beloved, may you make merry to bring back peaches into the parched and sickly areas of your life — maybe just one this year, but something that can lead to producing many more next season! A merry heart simply can do that kind of good when applied to all of life. Not infrequently, we turn to Ephesians 4:22-24 for motivation on how to grow in grace and walk in the light: … put off concerning the former conversation the old man, which is corrupt according to the deceitful lusts; And be renewed in the spirit of your mind; And … put on the new man, which after God is created in righteousness and true holiness. We learned last week that the Greek word for “transformed” in Romans 12:2 is the word where we get “metamorphosis”. We considered this connection after watching the creation video on the butterfly that we will finish in tomorrow’s Sabbath class before worship. Do you remember how the caterpillar comes out totally changed in form from its cocoon? By totally dying inside through a molecular break down that provides material to then be recycled into completely new and different parts for an amazingly different animal! It’s one example among many that disproves the theory of evolution. But the caterpillar’s metamorphosis into a butterfly also serves as a powerful lesson about what Jesus did for us in our justification. What’s more, the chrysalis transformation also shows what we need to do for and with the Holy Spirit in our ongoing sanctification. In my devotions this week, the Lord blessed me with a helpful insight into “putting on the new” of Ephesians 4. Sometimes, I imagine our conceptualizing of this idea could be vague. We know what the old looks like, but we need help with how the new should tangibly come into being. We need it to be modeled for us. 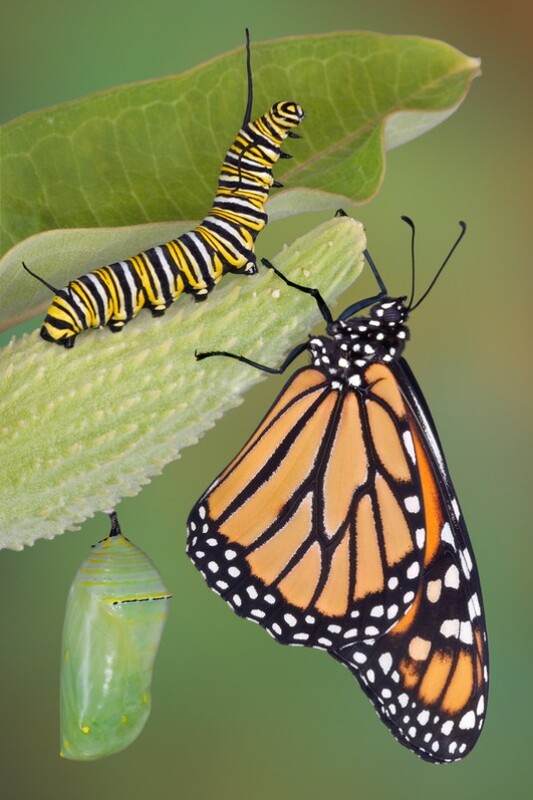 The image of a butterfly “metamorphosizing” from a caterpillar in Romans 12:2 helps. Still, Romans 13:14 gets more direct: But put ye on the Lord Jesus Christ, and make not provision for the flesh, to fulfil the lusts thereof. To put off the old and keep it off, we must have the mind of Christ. And in particular, we must have our mind on Christ. He not only saved our skin by saving us in His skin, but He shows us how to love God and our neighbor in His living (summarized in John 13:14). Paul also describes how we should model Christ: “make not provision for the flesh”. As you seek to put on the new man, make sure your “new man” is Jesus Christ Himself (Galatians 2:20). Dress yourself with your Deliverer every day. Study Him and His ways in the Scriptures and make them your own. Such as how He handled the temptations of the Devil in the wilderness (Matthew 4 and Luke 4). Ask your Savior to help you keep putting on His holy robes. Meditate on Jesus, and mimic Him. This is how to put on the new you and keep him on while incinerating the old you before he burns you. The old you is Satanic. The new you is Christ. Remember that “we have the mind of Christ” (1 Cor. 2:16). So be sure to surround yourself with Him, thinking His thoughts after Him and following His example of how to live out His Law of love. Christ Can Use You, You Cracked Pot! Jennifer and I are about to leave a two-day home schooling conference in Escondido held by Christian Family Schools of San Diego County. We have a lot of great general life and parenting wisdom nuggets I’d like to share with you, and I plan to do so tomorrow to relieve Elder Huffmaster of teaching Sabbath Class this week as his voice is not strong due to not feeling well (please pray for him that he might yet be able to worship with us). Just two things to share here. Wait a minute, aren’t we supposed to do things excellently for the Lord? I don’t know much about Mr. Chesterton to know where he was coming from in the context of this quote, but I think this is helpful for you and me to keep in view of sanctification and Christian service. We’ve been made perfect relationally with the Father in Christ through justification and adoption (both acts of God). But sanctification (a work of God) never stops until we get to heaven. That is, we are never done growing in grace. That can be frustrating in terms of where we have not yet gotten, but it also can be liberating in terms of where we can yet be going. What do you want to try to do for the Lord in your life that you haven’t because you’re too afraid of failing? Is it important? Is it worthwhile kingdom work? Then get started. Isn’t it worth doing badly, that you might get better and better at it? And that won’t happen until you begin and are willing to not be good at something so that you can get good at something. So how I think we can apply this Chesterton nugget is by seeing that Jesus Christ is so worthy of our best effort, even though our best effort may be pretty pathetic for a while. Jesus is worth our best; but He also is worth our best being not very impressive at first so that we don’t use it as an excuse to stay idle with our idols instead of stepping out in faith to move forward in grace. Notice that the widow’s answer was at first, “nothing”. But she had a pot of oil. Elisha told her to go get many pots, and the oil only stopped flowing from that first pot once there were no more empty pots to fill! Beloved, you may feel very empty right now. But look around, what do you have in your house? There’s got to be something you can trust Christ to use. Don’t you use the fact that it may be a half empty cracked earthen vessel (isn’t that what we all are?!) as an excuse not to trust and try. Offer it and yourself using it up to God’s great and final Prophet, Jesus Christ, and see if He doesn’t fill it and you with wine. See if He doesn’t take your few fish and crumbs and feed thousands. He doesn’t want you to try to be perfect experientially; you can’t be. He just wants you to see what you have to work with, and determine it’s worth offering up to the Master Who can work miracles with things that are otherwise unworthy. He can make your bad works good in Himself; and isn’t that what will glorify Him most!? Praise the Lord that He delights to work in the day of small things, and that He calls you not to despise them. Beloved, what’s in your house? Start as good as you can; it’s OK to do it badly at first, so long as it is your best. Christ will take care of the rest. This week, I heard a sermon by a fine, nationally known Reformed pastor, in which he said several times something like, “Holy smoke”, and it was a euphemism, not an exultation of prayer or praise. Frankly, after our recent evening studies in the Westminster Larger Catechism (which he subscribes to) teaching us about the Third Commandment, “Thou shalt not take the name of the Lord thy God in vain …”, I was primed to find this carelessness by a pastor who should know better enough to make my skin crawl. The preacher is still well worth listening to. But his poor choice of words behind the pulpit gave evidence that we don’t pay close enough attention to what our Catechisms guide us in seeing what the Word says should be expected in our faith and life — including the nuanced words that come out of our mouths that may mean well but are not well chosen. 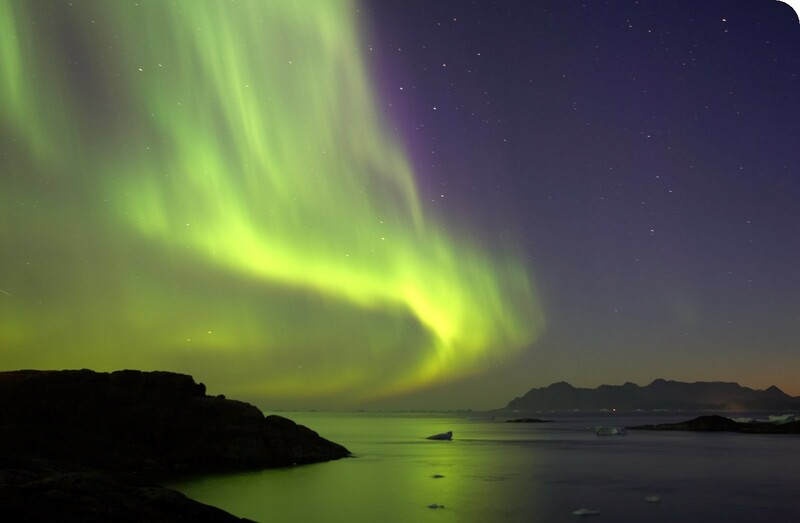 Many euphemisms are problems that need to not be accepted by the conscientious Christian because they are common, but corrected as he or she looks to burn a brighter and more uncommon witness for our Holy God in this dark world (we won’t if we speak like everyone else, or only slightly differently — and practically the same). I have noticed some of you “getting it” in how you catch yourself with your speech related to what I am highlighting below in response to the last two week’s evening sermons (Take Care of Jesus, and Hold Your Tongue), which is commendable — and encouraging as it has particularly been self-corrected by our young people. However, it seems my efforts to address some particular issues without being too direct so as not to risk seeming contemptuous have either not yet convinced some of you or have not been clear or obvious to some of you. The particular issue being, how beginning a sentence with “Oh my” is an outburst that should not only not be followed by “God”, but neither by such euphemistic replacements as “goodness” or “Word”. There are other implications worth the thoughtful meditation of a Christian who wants to go out of his or her way to not take God’s name in vain with an empty use of his or her speech (for instance, bovines and fish should not be carelessly labeled “holy” to better express an exclamation another way with a little thought and change in habit). Let me also say that I have had people speak to me in the past about other euphemisms they noticed I was carelessly using (which you will see mentioned in some of these articles) and I am very thankful they had done so. First of all, faithful are the wounds of a friend (Proverb 27:6). As well, I am always in need of improving such speech patterns, and I should want to to better glorify and lift up a fuller witness to His most beautiful Name. For the Lord Jesus teaches us in His model prayer first and foremost in the first petition to pray, “Hallowed be Thy Name”. The Lord be willing, we will revisit this topic of how to carefully speak relating to God’s attributes when we get to WLC 190 on that very petition in the Lord’s Prayer in the evening sermon series. Another commentator said what I paraphrase here: most saints are guilty of breaking this commandment many times each day; yet with the most meager efforts, and thought before utterance, it should be easiest to keep. I trust you will be careful, because you care to take care of the name and reputation of your King, Jesus Christ the Lord of Glory. Notice in our closing Psalms for both our morning (Psalm 117) and evening (Psalm 134) worship services that praising God’s “name” is highlighted. Whether we eat, or drink, or speak formally or casually, let us do all to the glory of God.